Wildebeest Eco Camp is a great base in Nairobi to travel within Kenya or East Africa. 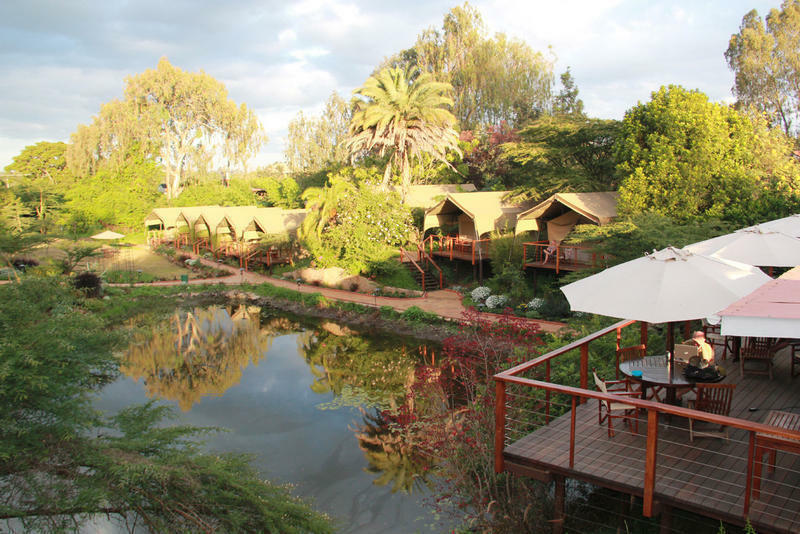 Make it a memorable stay in city's best permanent tented camp. The friendly, home-like hospitality is what has made Wildebeest Camp Nairobi's best accommodation choice for travellers, and a unique choice from a city hotel. 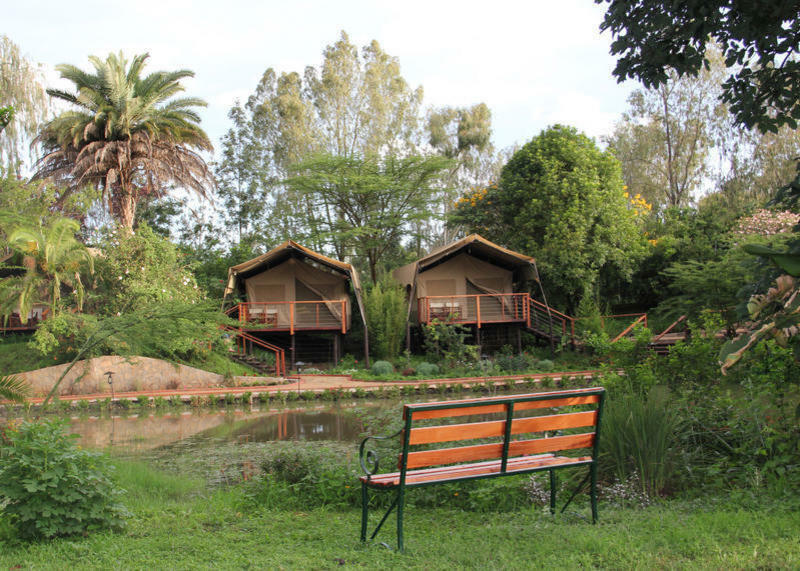 Wildebeest Camp is an oasis in Nairobi – simply the perfect place to relax during your African migration! Conveniently positioned in beautiful Langata it is possible to enjoy the best of both worlds – being close to major tourist attractions, Nairobi National Park and Galleria Shopping Centre, with good transport links to the city centre as well as both the domestic and international airports. 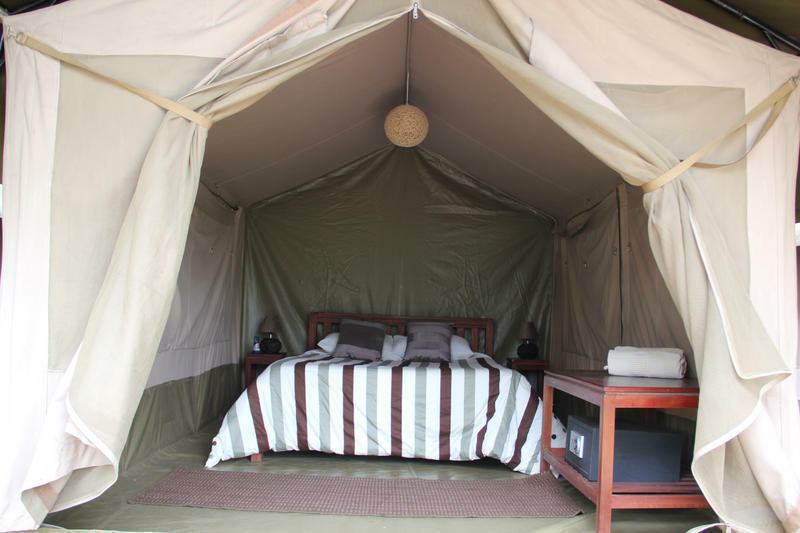 The beautifully-appointed deluxe safari tents, as well as garden tents, cottage rooms to comfortable dorm rooms or your own camping, will be a welcoming place to stay before and after your safari. You can enjoy the peaceful tropical gardens, which are home to hundreds of varieties of plants and birds, while still being close to shops, markets, cinemas, banks, Nairobi National Park and transport links. It is an ideal environment for families with acres of space for children to safely explore, and a dedicated playground where they can burn some energy. For the less energetic, relax on the deck with a Kenyan coffee or cold Tusker beer or find a peaceful spot in the garden and curl up with a good book. But don't be too keen to move on, there are loads of great things to do if you want to spend a couple of days Nairobi. You can visit the baby elephants at the Sheldrick Elephant Orphanage (from the BBC's Elephant Diaries), hand-feed or even kiss a giraffe, or visit the farm of Karen Blixen, famous from the book and movie 'Out of Africa'. Close to our camp, you can purchase souvenirs at the Masai Market, visit Kibera (the largest slum in Sub-Saharan Africa) or dine at one of the many great restaurants in Nairobi - including the world famous Carnivore! 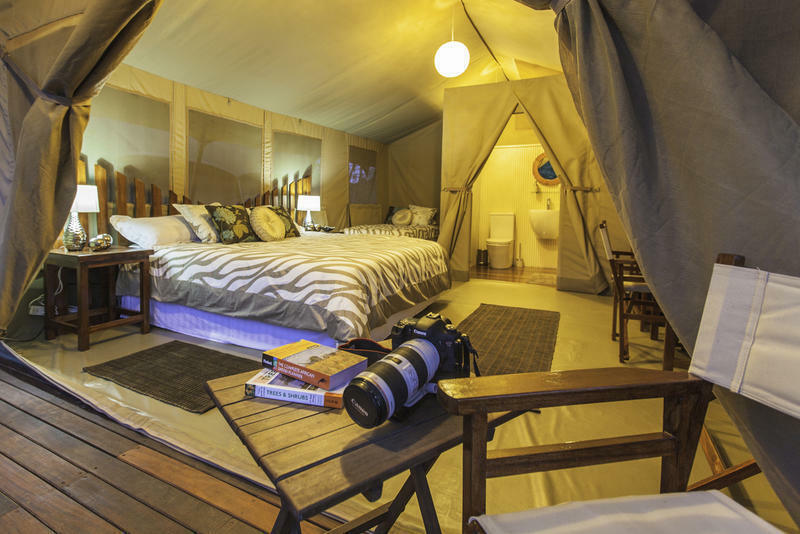 Would you like to stay at the Wildebeest Eco Camp in Nairobi? Please check here for the best prices & availability!